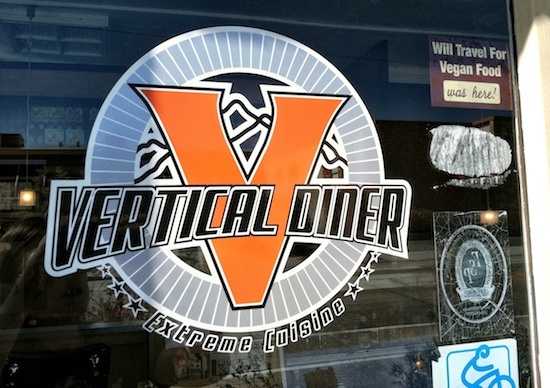 This morning we were scheduled to meet Ian Brandt, the owner of Vertical Diner, Cafe Supernatural, Sage’s Cafe, and Cali’s Natural Foods for a brief chat. But first, we ate! 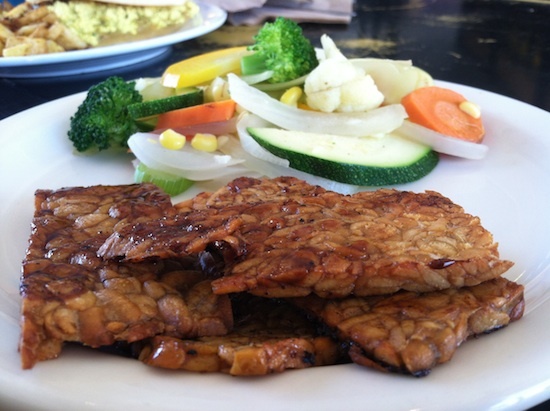 I had the Biscuites and Gravy + two combo, with a side of steamed veggies and tempeh bacon. 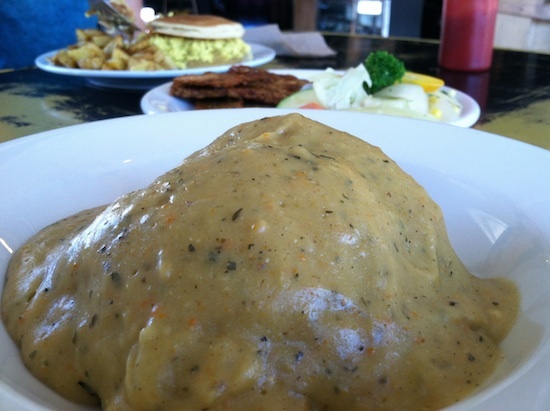 Vertical Diner’s gravy is aaahhhhmazing!!! It’s incredibly creamy and teeming with rich flavor. According to my notes it was “Beautiful! Perfect! !” The biscuits were equally delicious. They shone on their own – no need to drown out any dry or flavorless biscuits here! And the bacon has the most bacon-y flavor that I’ve ever experienced. Wow. Wow. Wow. 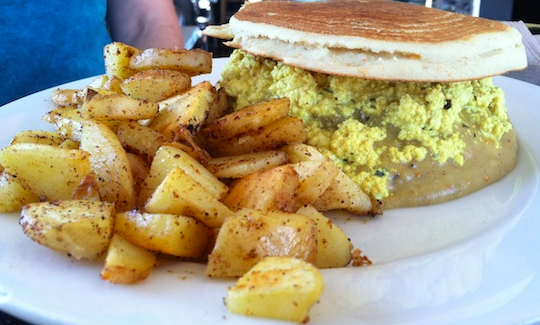 Certainly one of the best breakfast meals I’ve ever, ever had. 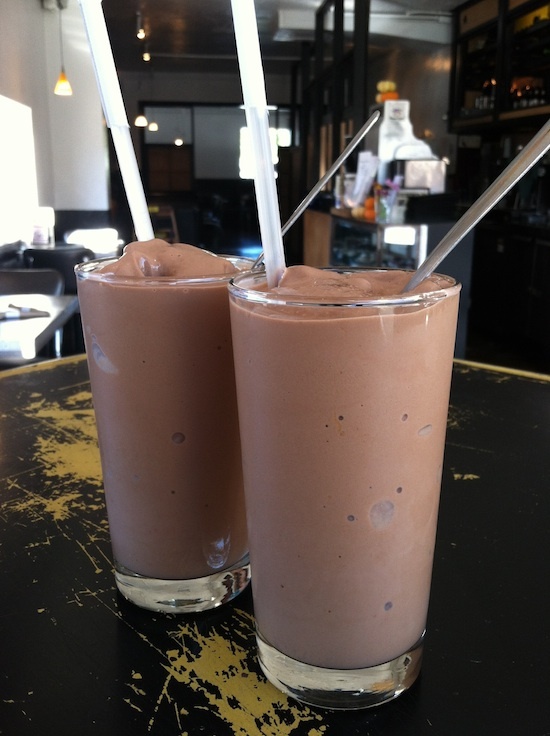 If that wasn’t enough, despite being totally stuffed, we just couldn’t resist trying a Chocolate Peanut Butter Smoothie. Believe it or not we split one. These are the small glasses! Hehe… and ooooh man was it gooOOOd! 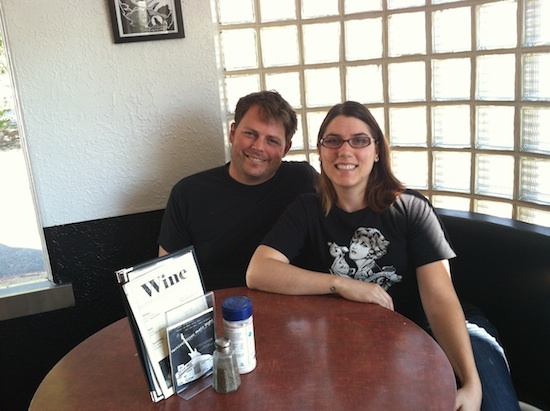 As we were sipping our ‘shakes we were joined by Ian Brandt, the founder of Sage’s Cafe, Vertical Diner, Cafe Supernatural, and Cali’s Natural Foods – all veg establishments located in SLC. 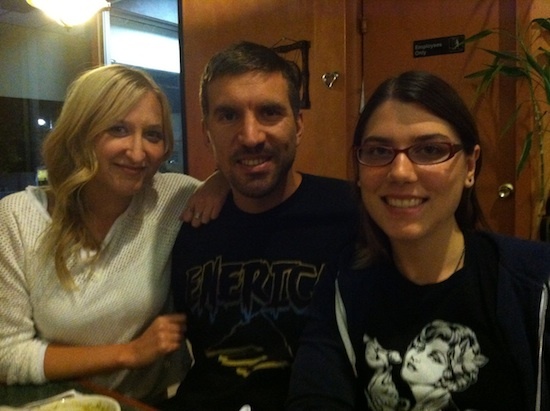 Given his celeb-status and all, I was more than thrilled that Ian took time out of his busy schedule to chat with us about the restaurants, his vegan-ness, and the future of SLC. Mr. Brandt started working in the culinary world at the age of fourteen. He worked as a server first at a retirement home and then at a diner outside of Philadelphia, where he grew up. Later in life Ian moved to Utah and studied hospitality and resort management, while also enjoying the new mountain culture. Adding to his resume, Ian also studied recreation and business management, as well as marketing. To further his knowledge on customer service, Ian took a culinary job with Marriott hotel as they are known for their excellence in that field. 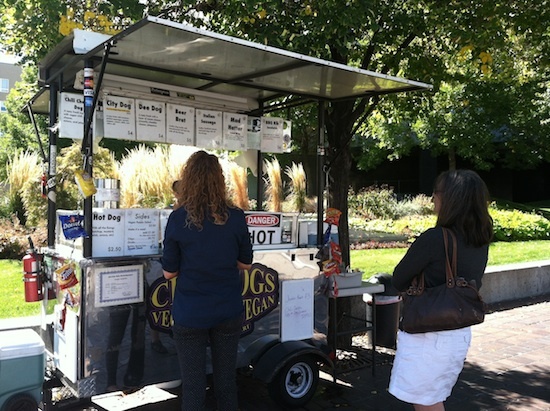 Once finishing college Ian started the second-ever food cart in Salt Lake City, which also happened to be the first veg food cart in SLC. He and his business partner would set up shop outside of bars and at farmers’ markets. During that time Ian learned a lot about veg food preparation and got first-hand experience at customer relationship management. After some time Ian walked by a vacant restaurant space. The timing was right as he was looking to move from temporary event services (the food cart) to a more standardized location. 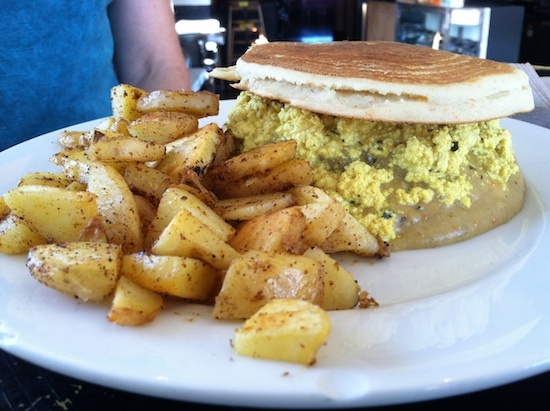 That space became Sage’s cafe, which was first opened in 1999 and was one of the very first vegan restaurants in the entire country – just on the heels of Angelica (NYC) and Millenium (San Francisco). The restaurant was named after his then six month old son, Sage. Ian noted that the first four years of the restaurant were extremely challenging, they were barely getting by. But, they got a flow, business started to grow and customer needs began to diversify. Ian and his team were experimenting with different dishes at Sage’s, which resulted in a more refined, boundary-pushing menu, which ended up moving other, popular dishes off of the menu. 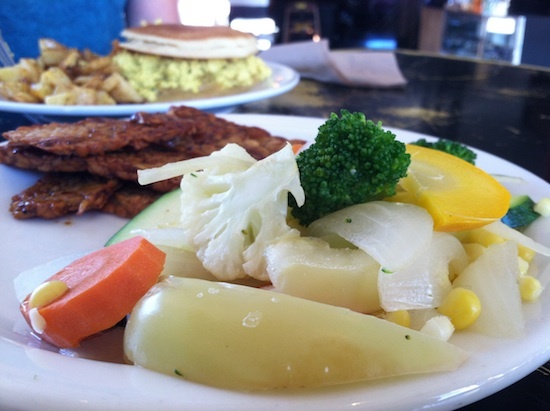 Instead of filling the menu beyond capacity, or ignoring customer requests, Ian did what any brilliant business person should do, he opened a second restaurant that would cater to a more casual, family style eatery. 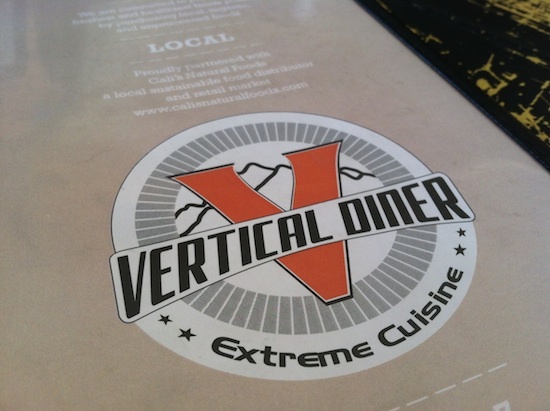 In 2007 Vertical Diner was born out of Ian’s keen business awareness and excellent customer service skills. 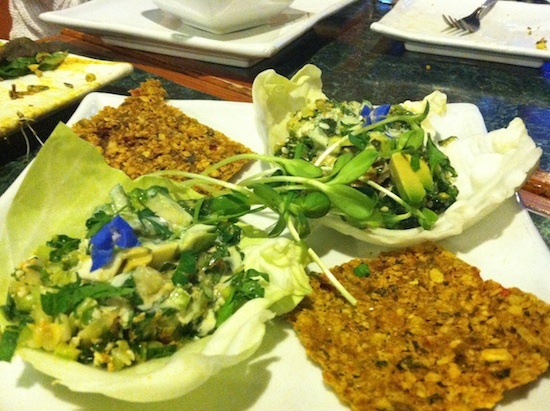 A few years later, and again as a result of listening to what people wanted, Ian opened his third all-vegan restaurant. 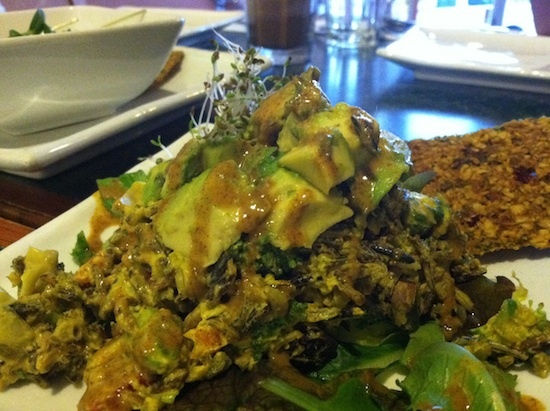 This time with a focus on gluten-free, light, and raw cuisine, Cafe Supernatural opened in November of 2011. 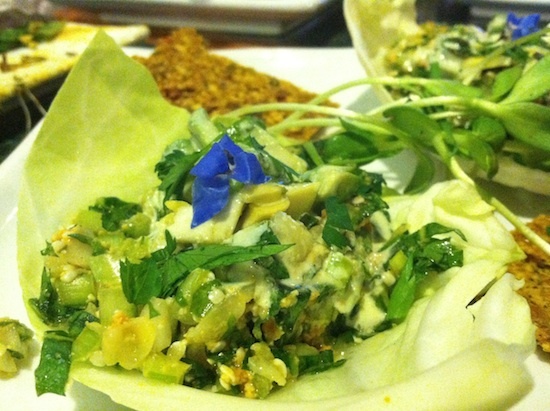 The aim was to open the restaurant in a location that would embrace such fare. Therefore, you’ll find that this restaurant shares space with a yoga studio. Perfect! From a young age Ian was constantly questioning the world around him, including things like, “Why are those calves being put into boxes?” Through his early years this eventually led him to understand the complexities of the food industry. Today, he says he’s still learning new things about food and animal production, like the science behind how much energy it takes to store animal protein, how much of that is subsidized, and the like. While Ian is vegan and still exploring what place this all has in his own life, he tries to never fall into a place of judgement regarding how others choose live. Coming from a place of compassion and respect, Ian says that “…if we can share more food that is prepared with love, with the intention of making the earth and our local communities a better place (supporting local farmers and local artisans) that’s really important to me.” And noted that every meal is an experience, and an opportunity. From Ian’s perspective Salt Lake City is an ideal location to live or vacation, if you’re veg and enjoy the outdoors. 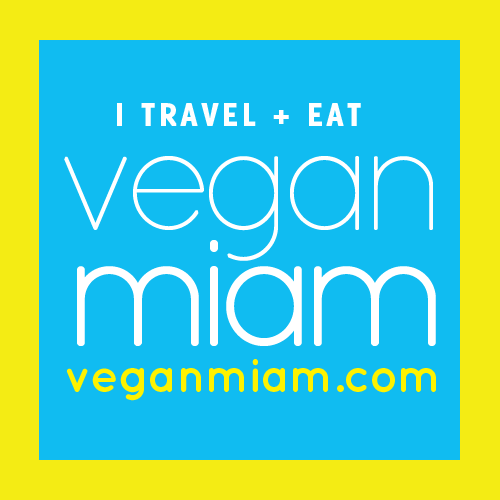 “As of October 1st, 2012 there are three new vegan restaurants here. All opened within one week. 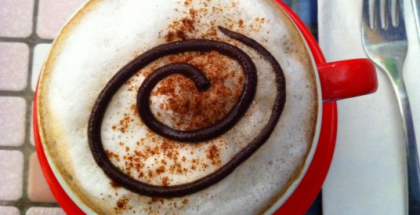 Salt Lake City is known as one of the more progressive small cities [in the country] in terms of veg food,” said Ian. 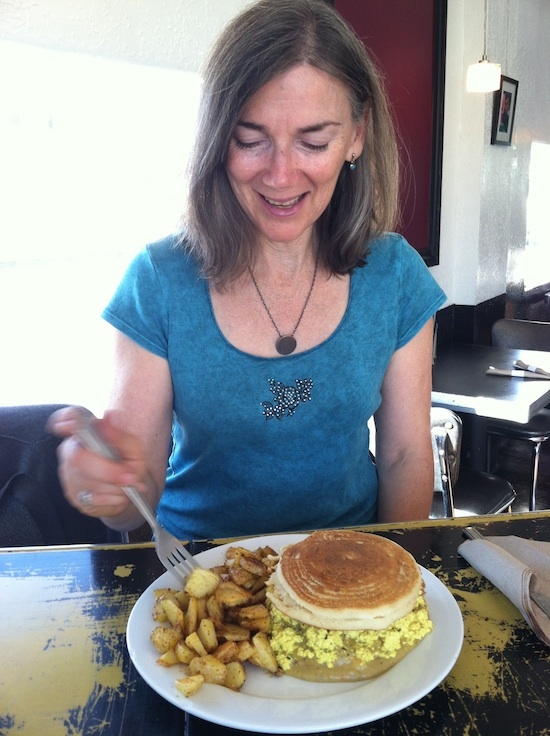 Not only is the vegan food delicious and abundant, but there is a great outdoor culture in SLC as well. He noted that it’s a great destination for hiking, skiing, and river rafting. 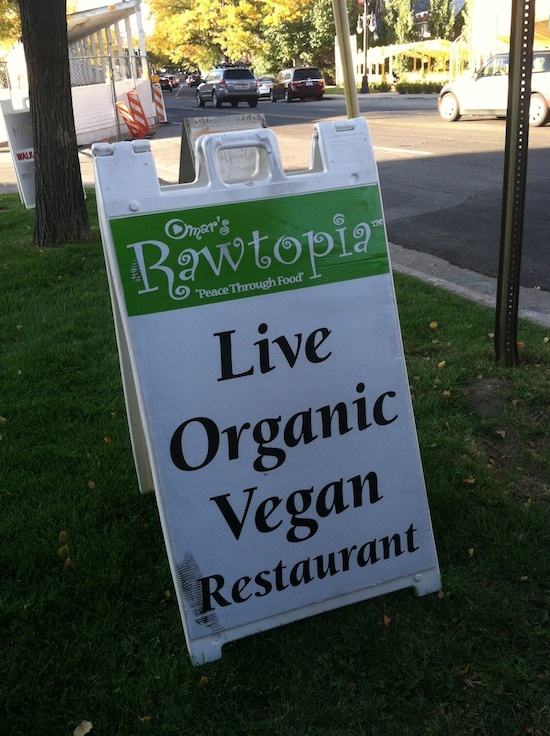 I was curious why Ian thinks SLC is so progressive and lends itself to the vegan community. 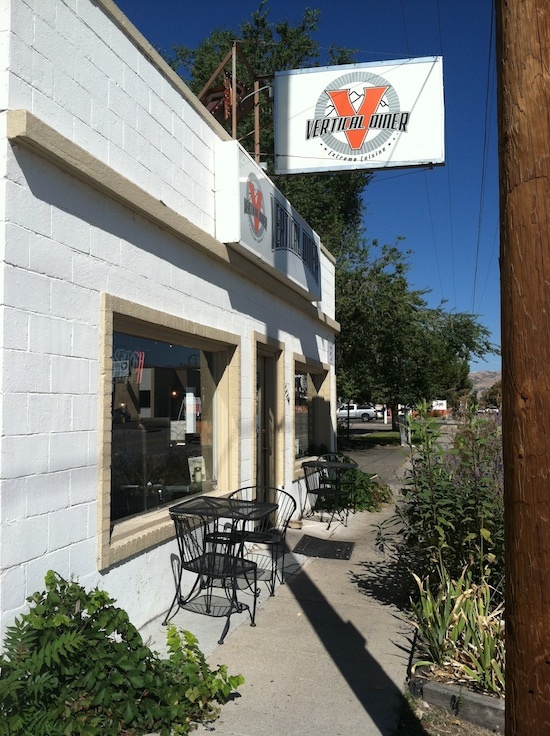 He attributes it to one of the first vegetarian restaurants in the city, now closed, called Park Ivy Cafe (and it’s founder, who was apparently one of the original co-founders of Tofurky), as well as a few aspects of the Mormon culture. As we were wrapping things up, and talking about location and such, Ian brought up a wonderful tidbit about lifestyle design that really resonated with me. Since being on the road I’ve yet to find a location that really speaks to me or has made me want to stay. But Ian said something different, which is just brilliant. He said, don’t just move somewhere and expect it to make you happy. Wherever you live doesn’t really matter. Rather, you are responsible for making your surroundings something more. Giving back to the community, and molding your surroundings. Everyone is obligated to at least try and make a positive impact on the world, at the very least in your own town or city. We each must create something that has a positive impact for the planet. We should all aim to add, not to consume. Following breakfast at Vertical mom and I headed downtown to meet Eric and his boss, Art for lunch at City Dogs. 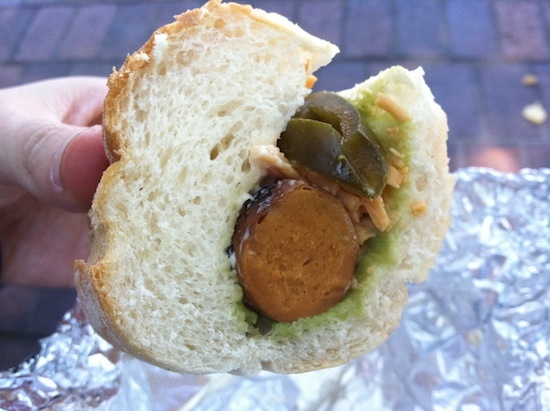 I had the “Dee Dog” which is a frank with cream cheese, avocado, cheese, and jalapeños. I also tried a bite of the potato salad. 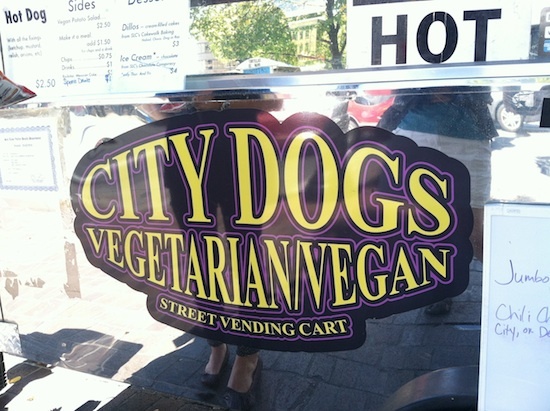 It’s pretty darn cool that there is an all-vegan hotdog cart in the city. Makes for a great on-the-go snack. These guys also deliver and will cater events. Nice! After lunch mom and I made our way to Nostalgia, a local coffee shop with free wifi. 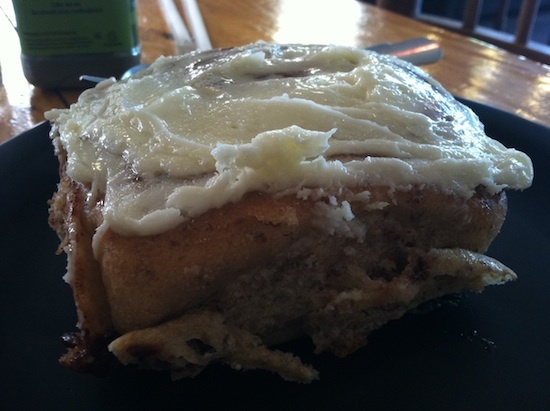 I wasn’t feeling a hot drink but noticed some mighty fine sticky rolls in a case on the counter. They weren’t labeled but I figured it wouldn’t hurt to ask if any of the pastries were vegan. As it turns out, all of the pastries that Nostalgia sells are vegan! Or at least, on this day. How awesome! So, I ordered up a sticky roll and found a comfy seat to reply to emails, check in on social media, and plan out the rest of the trip in SLC, and to figure out where we’d be in a few days so that mom could book her flight home. After a few hours at the coffee shop mom and I drove to another part of town to walk around a bit. We found a park that had been fenced off but the walkway was still clear. There were some beautiful ducks of every possible color, and breed I’d imagine, that looked as though they were in a protected area. Perhaps the city was prepping the park and duckies for winter. We strolled around for about a half hour before heading to Omar’s Rawtopia where we met up with Kristiina and Bryan – a lovely, local, vegan couple. 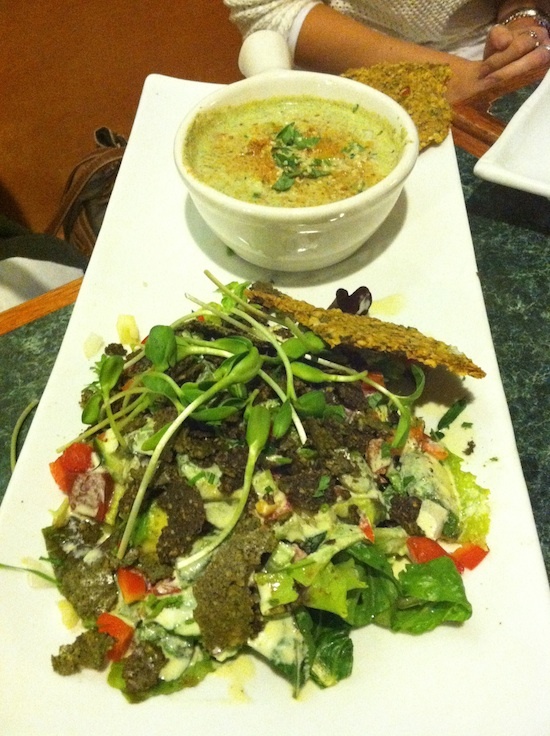 Welcome to one of the best raw meals I’ve ever had the pleasure of enjoying. We ended up ordering a couple of appetizers to share with the table, along with our individual meals. 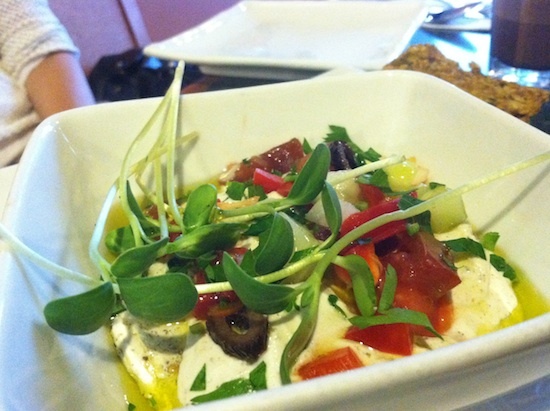 We started with the Almond Hummus Bite – creamy live almond hummus served with cabbage, topped with onions, tomatoes, parsley, and drizzled with olive oil. 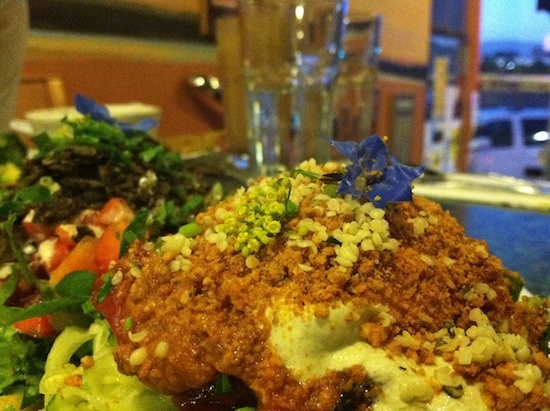 We also had the Tabouli Bite – tabouli served on lettuce. It sounds simple but the skill that these foodies have is incredible. Each dish was layered with hidden flavors, freshness in each bite, and beautiful presentation across the board. 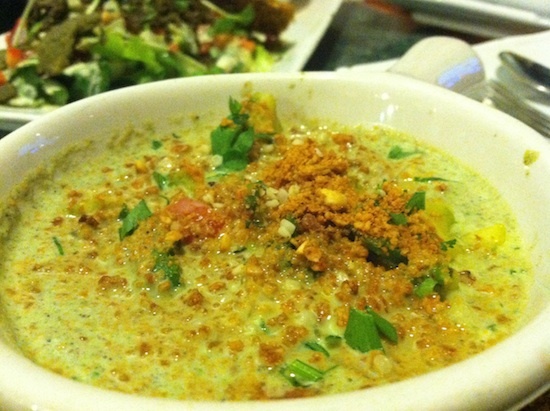 We also enjoyed a couple of combo dishes, including the Sweet Basil Salad with Broccoli Soup – a sweet garlic basil mixture poured over a bed of mixed greens, and a creamy seasonal broccoli-almond soup, topped with onions, bell peppers, avocado, celery, and tomatoes sprinkled with rawtopia seed cheese. I didn’t get down the names of the last two dishes, pictured below, in this series. If any of y’all know what they’re called, please leave a comment below because the world needs to try these meals. Everything was absolutely spectacular. The soup in particular – served cold – was incredibly delicious. I loved the creamy and crunchy textures combined for an entertaining mouth feel, along with unparalleled, vibrant flavor throughout each delectable spoonful.